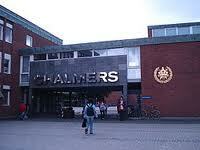 Chalmers will grant over 40 Government scholarship (in 2012) allocated by the International Programme Office for Education and Training (IPOET). It will be administered by the university directly. The IPOET scholarship is awarded primarily based on academic merits, with an emphasis on academic excellence. Unrestricted, all of the current Master’s Programmes at Chalmers starting in 2012. A 75% reduction of the tuition fees (4 semesters / 2 year programme). For students with excellent academic performance during the first year of studies, the scope of these scholarships may be increased to cover 85% of the tuition fee during the second and final year of studies. Demikian kami sampaikan tentang IPOET Scholarships, Chalmers University of Technology, Sweden semoga informasi tentang IPOET Scholarships, Chalmers University of Technology, Sweden ini bermanfaat.